Attention all brokers and real estate professionals. BOS wants to introduce you to one of our employee owners, Jennifer Frisby, whose core focus is helping brokers and real estate professionals better serve their clients. BOS, one of the top commercial furniture dealerships, is a top resource for brokers who are looking to better serve their clients. 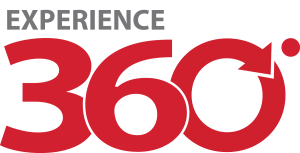 From design to installation, BOS’s 360º experience is a complete turn key solution of workspace services. BOS stays in control of every project we work on because we do everything in-house. This has numerous benefits to brokers, the biggest one being that you are dealing with one company to take care of every one of your clients interior furnishings needs. No need to gather a bunch of professionals for a bunch of different areas. BOS can provide test fits, renders and any other graphics or information that may allow your clients to better visualize what their furniture is going to look like. 45% of our staff have degrees in interior design, who are ready to help you show your clients how to best utilize their space. Up front and clear pricing allows our experienced team to meet your clients crucial budget demands every time. BOS has served thousands of clients over 70 years and not only are we a Best in Class Haworth dealer, but we also represent over 250 of the industry’s top manufacturers. We can get your clients the deepest discounts and the best possible deals. Creating great places to work is what BOS does best. From furniture to de-mountable walls, technology to accessories, BOS can effectively help your clients showcase their culture, their brand and their business. Have a client that needs help attracting and retaining talent? BOS can absolutely help. Do you have a space that you are looking to sell or lease? Why not create a spec suite to show it off? We can work with you to highlight the space and bring in more tenants. Does your client have furniture that is no longer needed? We got you covered with our de-commissioning program. BOS can refresh entire furniture right here in our facility and then re-sell it through our mid-market business Affordable Office Interiors. We have 150,000 square feet of warehouse space full of de-commissioned furniture that can save your clients up to 80% off list. It’s a no brainer for businesses who are just starting off and for those on a tighter budget. Your clients can also feel great about the fact that this sustainability cycle out of landfills. We didn’t just limit our services to your clients physical spaces, we’ve got their digital space covered as well. With full service technology integration and digital marketing agency solutions from Workspace Digital, you and your clients are in great hands. So, you do what you do best, and know that Jen and our entire team over at BOS are here to help you provide exceptional services to your clients. If you are a broker and are ready to take your business to the next level, give us a call today! Top Workspace Trends for 2050 Cell Phones in the Workplace: An Opportunity or a Distraction?